hello mga ka PBB. im 5'10" 73 KGS. do i need to gain weight pa ba or pde na ako mag body build? i mean lean muscles pra may hubog. mejo malaki din pla tyan ko. ano advice nyo po sakin? 1 month plng po ang nag gym and also thinking about taking up supplements. thank you po in advance. Make a personal Journal bro, tell us a little bit of your fitness background and post some reference photos para makapag bigay inputs ang mga masters dito. Good luck and happy lifting! bro, if you're thinking of taking supplement, you need to access kung ano ba yung kelangan mo at gusto mong machieve, you are quite tall for a 73kgs, maganda siguro build ka ng lean muscles, i'm 5'7" and im at currently at 69-70kgs, body fat % is about 15%. so keep this in mind, magsusupplements ka lang kung sa tingin mo kulang yung kinakain mo. recommended for body building is 1.3-1.5grams of protein per pound of your body weight, so lets compute, nasa 160lbs ka ngayon so most likely kelangan mo ng 208-240 grams of protein per day. so kung sa tingin mo kulang yung kinakain mo na protein. better take protein supplements. P.S. di lang protein ang importante, you also need to check your calorie intake, because you need calories so you would have energy. Yan po ako ngayon.. Okay po b magstart sa promatrix advance mass gainer? D po ba lalake lalo tyan ko? lalaki ka nyan, kasabay ng paglaki ng tyan mo. control mo yung calories mo lang, so wag ka mag mass gainer. then focus on compound exercise, BP, squat, DL, mga ganun. thanks po. pde po ako mag whey instead of mass gainer? better, or mga whey isolate, expensive but worth it. apir! 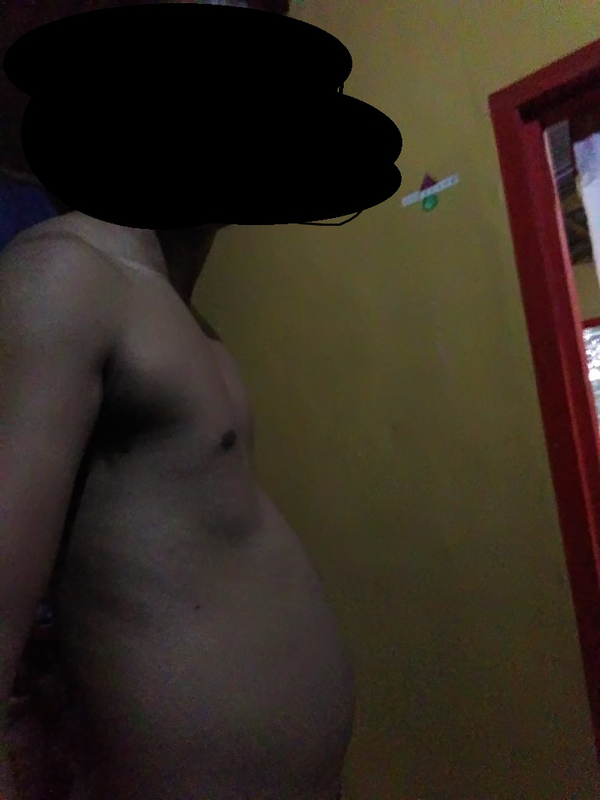 ** recommended for body building is 1.3-1.5grams of protein per pound of your body weight, so lets compute, nasa 160lbs ka ngayon so most likely kelangan mo ng 208-240 grams of protein per day. so kung sa tingin mo kulang yung kinakain mo na protein. better take protein supplements. Well, if he's not an athlete, 208 grams of protein seems to be already too much. For average guys, okay na yung .75-1 gram of protein per pound of body weight. Madami na yun. You know the Hodgetwins on YouTube? The dudes are 6'2" and they take 125-140 grams of protein on average. "How much protein does the average guy need? Depends on whether you work out or not and how strenuous your workouts actually are. Your average desk-bound male requires just 0.36 grams of protein per pound of body weight per day. But exercise can nearly double those requirements. For endurance athletes, Peter Lemon, a professor of exercise nutrition at the University of Western Ontario, recommends getting between 0.5 and 0.7 grams of protein per pound of body weight. "For strength athletes, those numbers are even higher--generally between 0.7 and 0.8 grams of protein per pound of body weight," he says. If you've been shooting for a gram of protein per pound of body weight--or more--you're overdoing it. Your body won't be able to process those extra calories, and they'll ultimately end up as just one thing: fat." You were spot on with regard to calories, though. Don't use mass gainers. Guys who take mass gainers are those who have a hard time eating more food. More importantly, be patient. Just go to the gym and work out properly and regularly. Don't give up. Before you know it, you have made all kinds of gains. ALL KIIIINNNDS! It's okay. Just saying going 240 grams of protein is just way too much, unless you're a 200-lb and above bodybuilder.